Construction signs are used to alert motorists to the dangers that new or temporary construction poses and how to maintain reasonable safety on both highways and roads. 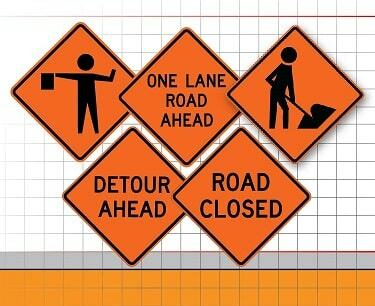 These construction signs are identified by a bold orange color with black text or black symbols. This fluorescent orange material is created in a way to provide high visibility to help ensure the safety of construction crews. Our construction signs are perfect for road work and jobsites. 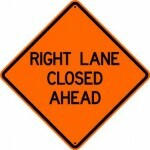 Traffic Signs Corporation wants to keep your road construction crews safe with our construction signs. Our Construction Signs are MUTCD / DOT compliant and made with the highest quality .080 aluminum, coated with the industries best 3M or Avery reflective sheeting and printed to last beyond the sheeting warranty. Best quality every time.